The Minnesota chapter of the Public Relations Society of America (PRSA) celebrated the best public relations campaigns of 2010 during the 33rd annual Minnesota PRSA Classics Awards, held at Windows on Minnesota on Thursday, March 31. The awards banquet, emceed by FOX 9 entertainment reporter Jason Matheson and past president of Minnesota PRSA Kelly Groehler, senior manager, public relations, Best Buy Co., Inc, was attended by more than 250 communications professionals from area agencies, corporations and nonprofit organizations, as well as independent practitioners. "The Minnesota PRSA Classics Awards recognize excellence in the field of public relations," said Brooke Worden, APR, president of Minnesota PRSA. "We have such a talented community of local professionals, and the quality of the profession here is extraordinary. This year's winners really stand out for their exemplary professional skills and creativity." The Classics Awards are divided into two categories: Elements and Programs. Classics Elements Awards honor the best program tactics, while Classics Programs Awards honor the best overall public relations campaigns. The highest-scoring entries in the Programs Awards category were eligible for the top honor of the evening – Best of Show. The award for Best of Show was presented to the American College of Surgeons and Weber Shandwick for "Florida Surgical Care Initiative: Setting a National Example for Quality Healthcare." Each year, thousands of patients are impacted and lives are lost by hospital errors and complications – equivalent to a jumbo jet crashing every day – and billions of dollars in costs are added to care for these patients. The American College of Surgeons (ACS) and the Florida Hospital Association partnered with Weber Shandwick to create the Florida Surgical Care Initiative, a program based on ACS' National Surgical Quality Improvement Program, to prevent surgical complications, save lives, improve care and reduce costs. Program elements included development of a logo and all marketing materials, targeted media outreach, branded website, webinar and an anthem video. At the awards ceremony, the organization also honored Doug Spong, president of Carmichael Lynch, with the Donald G. Padilla Distinguished Practitioner Award. Carmichael Lynch is one of America's most-admired creative agencies offering inventive ideas in advertising, public relations and digital. Spong also is the founder and president of Carmichael Lynch Spong, a four-time winner of "PR Agency of the Year" by industry trade publications PRWeek, PR News and Holmes Report. Spong became a member of PRSA in 1984. He joined PRSA's Counselors Academy in 1986 and earned his accreditation from the society in 1989. 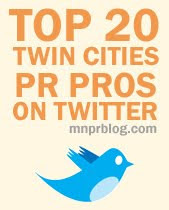 Spong serves both national PRSA and the Minnesota chapter in countless ways. 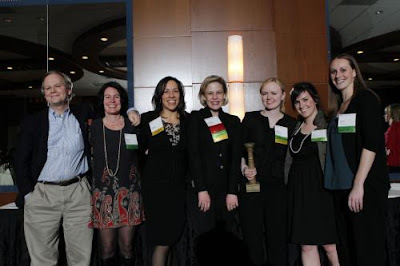 Currently, he is co-chair of the 2011 PRSA International Conference in Orlando, Fla. Previously, he has served national PRSA as two-year chair and member of the honors and awards committee; member of the president's task force on certification; and member of the president's task force on defining the profession. In addition to national PRSA, Spong has served the Minnesota chapter as its president; immediate past president; president-elect; board member; and chair of several committees including Classics Awards and Public Relations. Spong currently serves on the advisory board for the Masters in Strategic Communication program at the University of Minnesota School of Journalism; the dean's advisory council for the College of Liberal Arts and Sciences at his alma mater, Iowa State University; and chairman of the board of directors for Koronis Ministries, a nonprofit camp, conference and retreat facility located in central Minnesota. Over the years, Spong has received numerous awards for his achievements. He was named to the "Ones to Watch" list by Corporate Report magazine; named to the Minneapolis/St. Paul Business Journal "Forty Under 40" inaugural class; and received six presidential citations for meritorious service to the profession from national presidents of PRSA. Creative Memories with Fast Horse Inc.
MinnPost.com with Fast Horse Inc. The Coca-Cola Company with Fast Horse Inc.
Next Big Thing with Fast Horse Inc.
Time's Up, Cupcake. It's Time for Pie!